Myself in reply, “I don’t care, wherever you would like to go”. And then just imagine that very conversation happening in repeat for about 20 times. It wouldn’t be date night without the endless cycle of no one making a choice! If you’re ever in the same boat, especially this holiday season, you might want to check out P.F. Chang’s! Not only do they have their incredibly famous lettuce wraps (yum! ), but did you realize they have some awesome desserts and holiday drinks, too? The picture above is over their new Peppermint Mocha Cappucino and Vanilla Bean Milkshake. Oh heavens they look amazing! 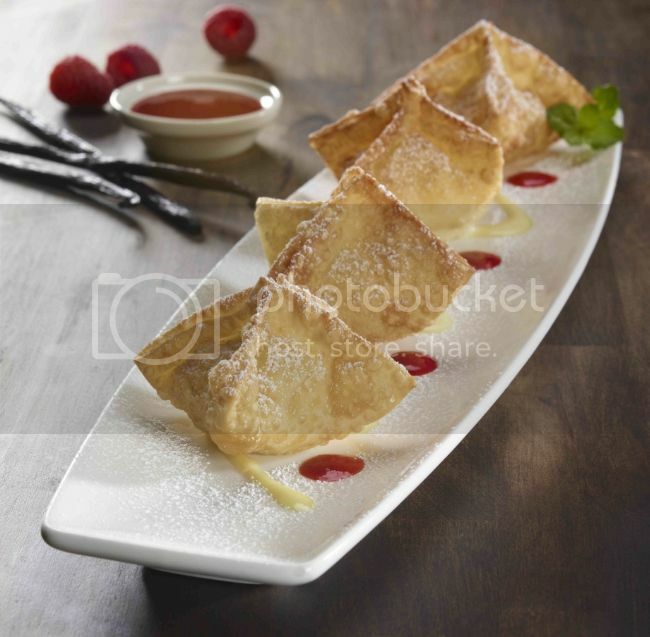 Or check out these handmade Sweet Vanilla Cheese Wontons! Woah. They also offer Chocolate Raspnerry Wontons as well. You know, in case you’re a chocolate fan. Who isn’t? I’ve always considered P.F. Chang’s for the lettuce wraps and Asian-American inspired dishes, but seeing these desserts gets my sweet tooth excited! 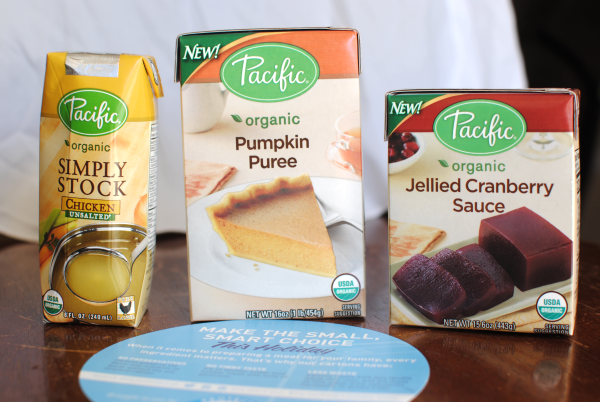 Have a date night planned or just want to take a break from holiday cooking? You might just check out P.F. Chang’s and their new fall menu and holiday items. You can Follow @pfchangs and also Follow P.F. Chang’s on Pinterest to keep up to date with them! So which new menu item are you most excited about trying? Leave me a comment! Have you finished all your Christmas shopping yet? No? Shame on you! HA! Totally just kidding you. I haven’t gotten anywhere close. 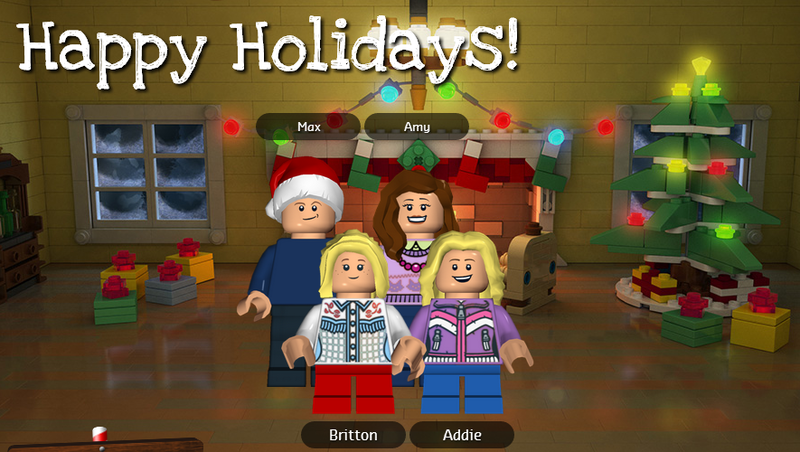 This year has been a whirlwind and I’ve felt about a month behind each holiday as they come. So if you’re like me, then you’ll really enjoy this last-minute gift idea that takes no time at all and comes straight from your heart. I can’t take the credit for this one, I came across it the other day at Happy Go Lucky and thought I have got to do this! I had seen the idea of it on Pinterest before, but wasn’t sure that it worked. So I was glad to have found proof that it does. 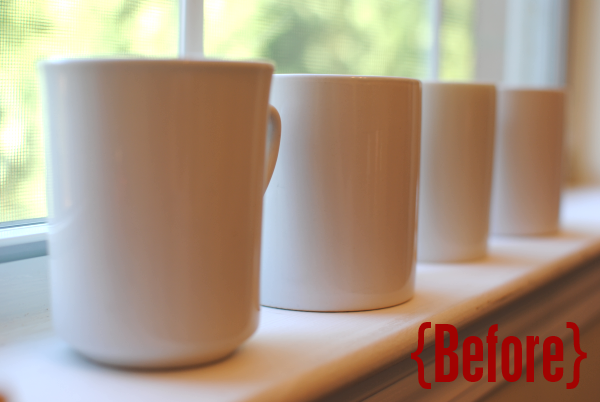 To try this out for myself, I didn’t want to spend a bundle on mugs. Even Dollar Tree is a bit expensive per mug for me. So I ran into Goodwill where there were a ton of white mugs. Whodathunkit? It was meant to be! $.49 per mug and you just can’t beat that, even with a stick. 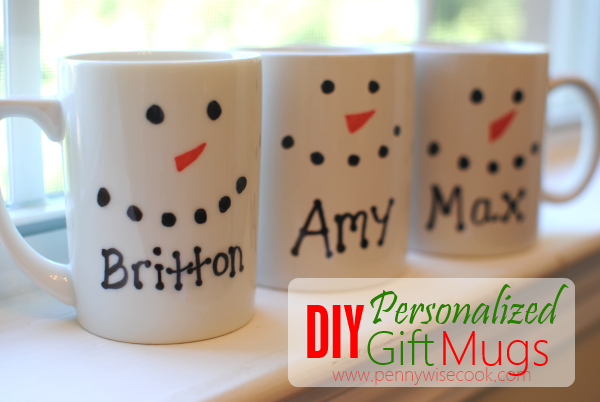 It’s as simple as using a permanent marker to write, draw, or color on your mugs and then pop them into a preheated oven for 30 minutes. That’s 350° in the oven to be exact. 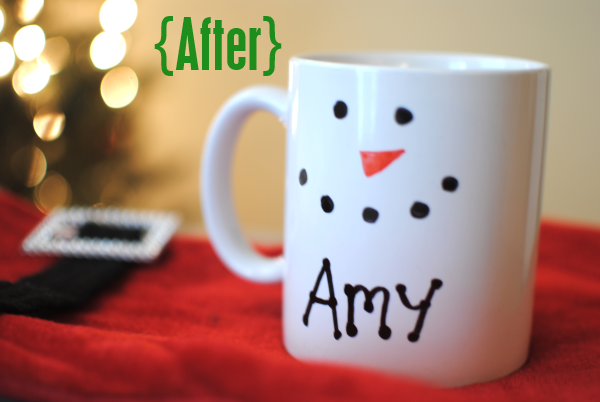 When they come out, the marker has been baked, sealing it to the mug! UPDATE PLEASE READ: I mentioned this in the comments, but DO NOT PUT THESE IN THE DISHWASHER. Using regular sharpies, it will come off. Hand washing is fine. When I gave these out, I wrote a little poem to go with that said please hand wash. I know many of you have had issues with this. So easy and yet so thoughtful. Even the kiddos can make their own. Get creative and have fun! 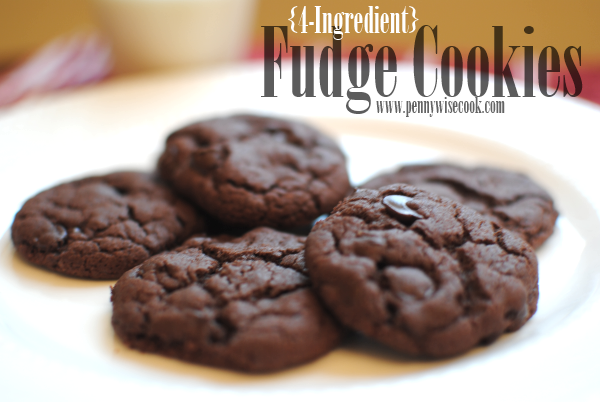 You can make these for any occasion as well. Add a heart for Valentine’s Day or an egg for Easter. Whatever suits your fancy. Once again: do not put these through the dishwasher unless you use a more permanent type of marker made for ceramic. The Sharpie works fine if hand washed. 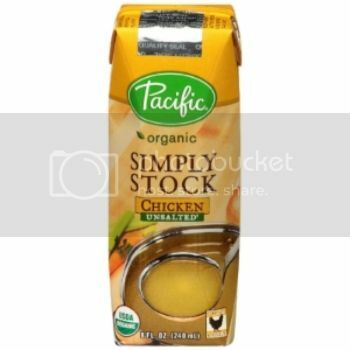 The following post is brought to you by McCormick! All opinions expressed are 100% mine. Christmas reminds me of so many things. The birth of Jesus Christ, Santa, presents, stockings, family, and so much more. 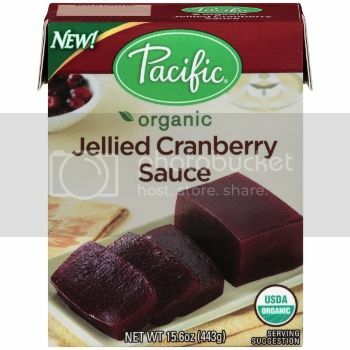 And I can almost taste the flavors of Christmas when I start to imagine it each year. You have your cinnamon and apple, gingersnaps, chocolate from Santa’s chocolate chip cookies, and then there’s peppermint. It’s not Christmas until I’ve seen a candy cane y’all! I’ve never been a diehard peppermint fan. I wouldn’t even say that I eat even 1 candy cane per Christmas season. But I will say that when you have severe coffee breathe, peppermints are your best friend! I am a fan of peppermint ice cream, peppermint and white chocolate, and any other creamy combination like those. I just love how it can be complemented by something that will take it’s sting away a little. You know what I’m talking about? Last Christmas, I made homemade peppermint marshmallows. They were soooo good! I used extract to give it the flavor so no crunching from the peppermints was necessary. 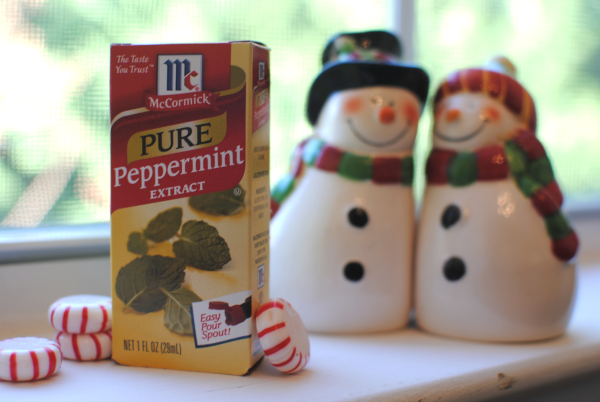 McCormick makes a good pure peppermint extract perfect for capturing that Christmas flavor this year. 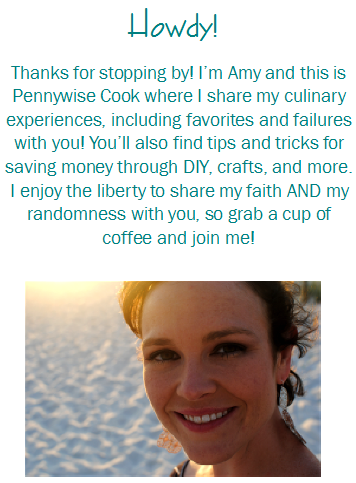 I cannot WAIT to share this next recipe with you. It is one of those recipes that your friends and family will probably request that you make for them over and over every year. I’ve only made it once and it has already been requested a second time! Let me start off by saying that I saw a picture of these taken by the talented folks at McCormick and I thought wow those look tasty. Mine will never look like that, but maybe they’ll at least taste like them! You know those recipes that are impossible to actually make look as appealing as they do in the original presentations. Well, I can attest that these will look very close to the original if you follow all the directions correctly! You’ll be famous for these! And trust me, they aren’t as difficult to make as they look. They take a little bit of time, but you can just catch-up on your face book or watch a Christmas movie while you’re slaving away. Bake 15 min or until a toothpick comes out clean. (I baked mine for more like 26 minutes.) Cool on wire rack. Meanwhile, beat powdered sugar, 7 tbsp butter (melted), cream, and peppermint extract in a large bowl on medium speed until well-blended. 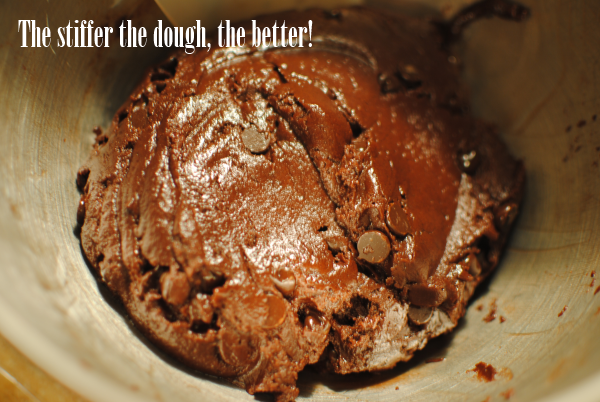 (this mixture will be extremely thick, sorta like a peppermint patty middle) Spread evenly over cooled brownies. (You might need to use your hands to press it down evenly among the brownies. 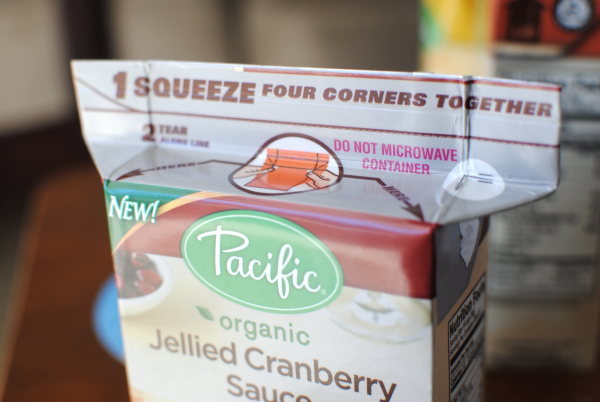 I also had to take a little from thicker spots and add it to the thinner places) Refrigerate for 30 minutes. 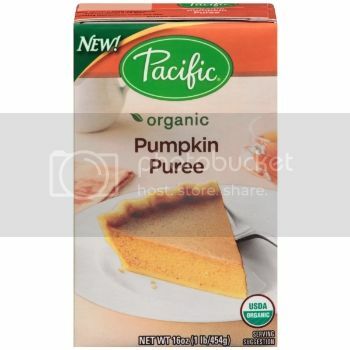 Cut into 36 squares and serve! 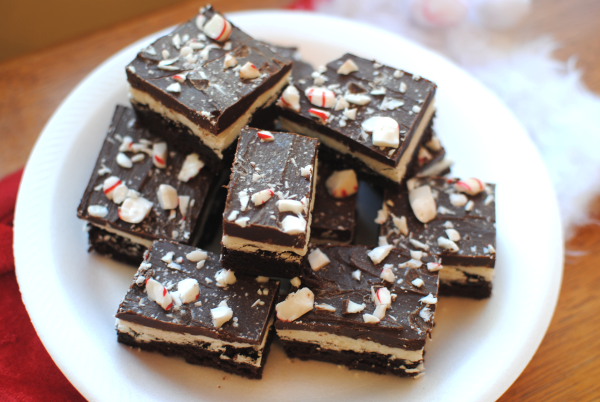 You can find the original recipe where they like to call these Peppermint Bars over at McCormick! 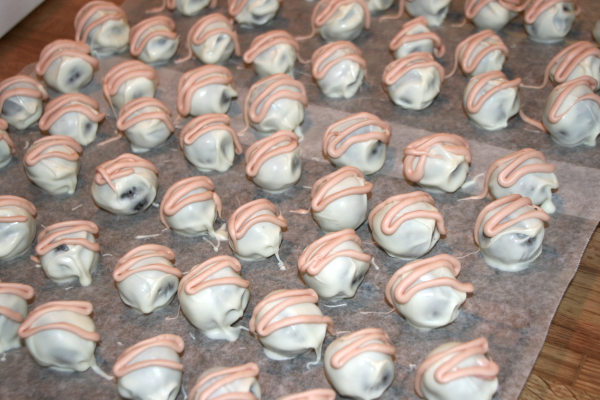 I remember the very Christmas that I was introduced to what was called “Oreo Balls”. The most wonderful and decadent morsels made of crushed Oreo cookies and cream cheese all contained within a crust of white chocolate. I must have made them 5 times that Christmas for different functions. And they have become a go-to treat ever since. While some desserts and treats can end up so stressful over the holidays, it’s always nice to have something like these Oreo Cookie Balls to fall back on since they are so easy! 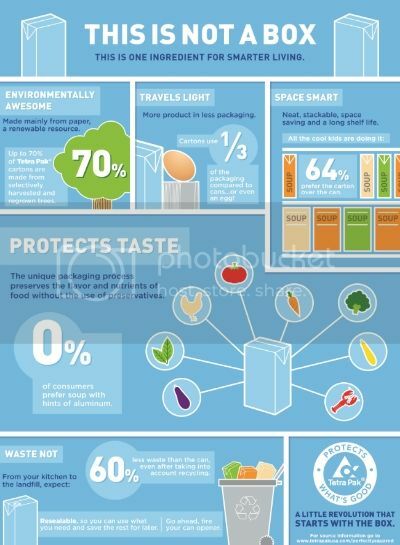 And not to mention that they taste amazing. The best part is that you can practically make them festive for any holiday. Christmas is especially fun because they easily look like little snowman heads. Or simply add some red or green glitz and glam with sprinkles while they are still wet. Put them on a stick or serve them in a bowl! 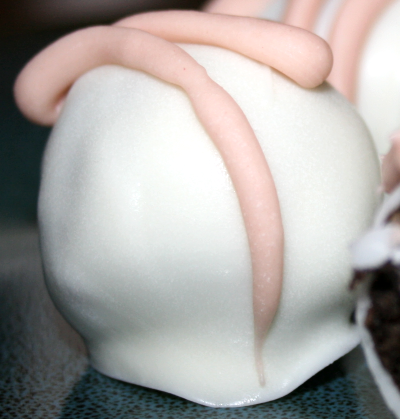 You can find some super fun ideas for creating your own festive Oreo Cookie Balls HERE. There’s everything from penguins to Nutter Butter Cookie Ball ideas there. I also think that the pretzel idea for reindeer antlers is genius! You can also follow @Oreo on twitter for more cookie ball inspiration. I made this last batch a little more on the simple side when it came to decoration. My coloring didn’t exactly work out for turning red, so I settled on pink which didn’t really matter because they were just going to get eaten anyways. The biggest change that I made this time around was a complete experiment. I attempted to merge 2 of my favorite treats into one: Oreo Balls and Rice Krispy Treats. 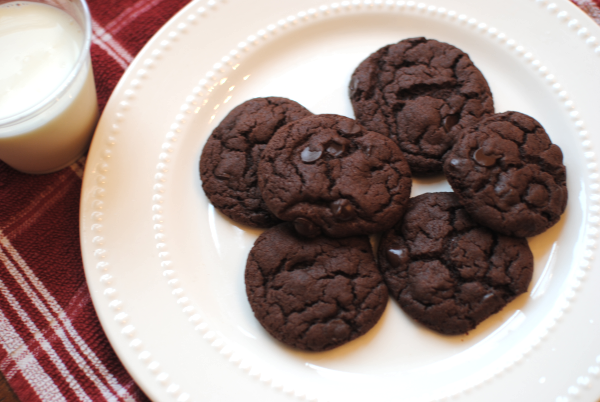 I decided to make them both as normal and then simply stir them together and finish off the cookie ball recipe as normal. 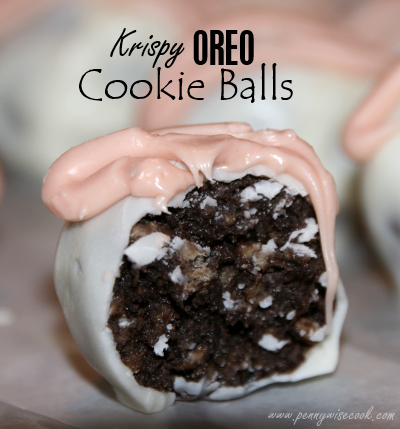 Hence the name Krispy Oreo Cookie Balls. While the first day that I made them they were Krispy, I must confess that they lost that “krispiness” after the next day or so. That cereal tends to become soggy after a while so it didn’t surprise me. 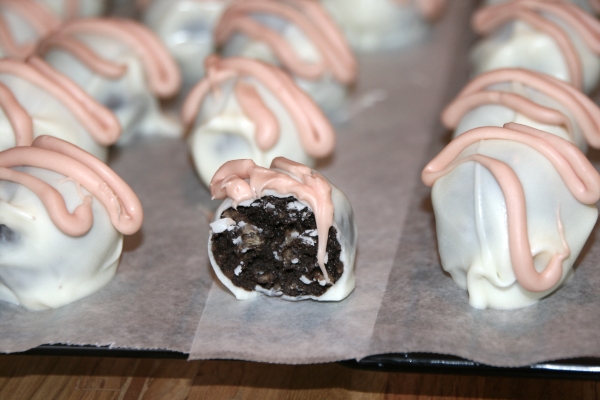 But I will say that I liked the way that the Rice Krispy Treat made the Oreo Balls lighter and not as rich. I also used Almond Bark instead of regular semi-sweet chocolate chips. Pure bliss in every bite. 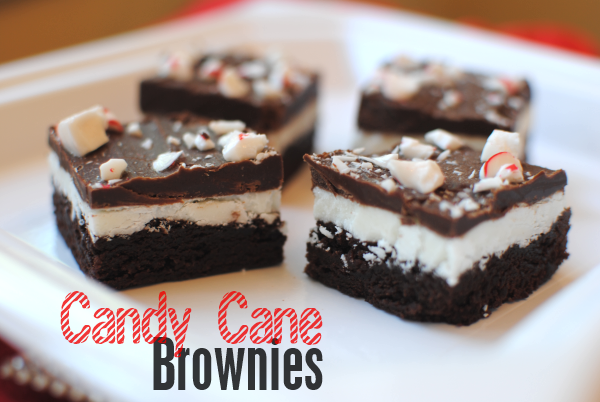 They are addicting and sure to be a hit at any holiday gathering! 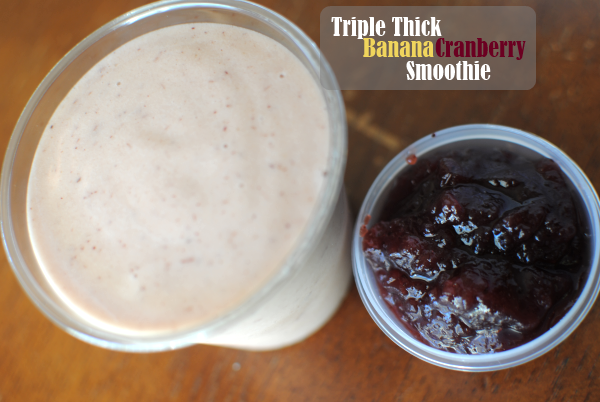 I’ll give you the original recipe and also the recipe that I made in case you want to try it out. Shape into 48 (1-inch) balls. Freeze 10 min. 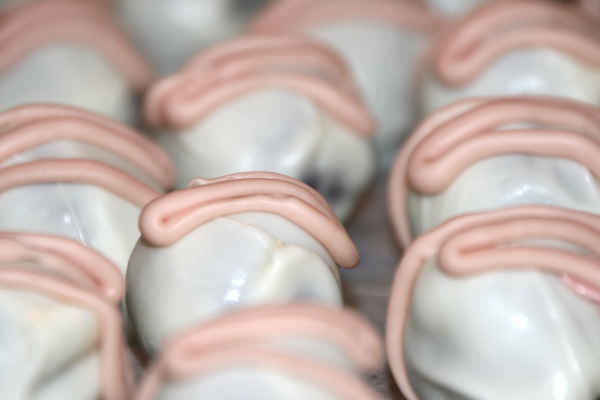 Dip balls into melted chocolate; place in a single layer on a pan covered in wax paper. Refrigerate an hour or so until set. Meanwhile heat 3 tbsp milk in a sauce pan over low heat. Add 10 oz bag mini marshmallows and stir until melted. In a large bowl, add 6 cups Rice Krispies to melted marshmallows. Combine well. Stir together Rice Krispies Mixture with Oreo Mixture until well-combined. Shape into 48 (1-inch) balls. Freeze 10 min. Dip balls into melted almond bark; place in a single layer on a pan covered in wax paper. This is a sponsored post written by me, made possible by Yummly, on behalf of Oreo. All opinions expressed are 100% my own. For more information, review my disclosure policy.